The Mears Memorial Bridge was completed on 27 February 1923. The 700 foot long truss bridge spans the Tanana River at Nenana, Alaska. The bridge was the final link in the Alaska Railroad. 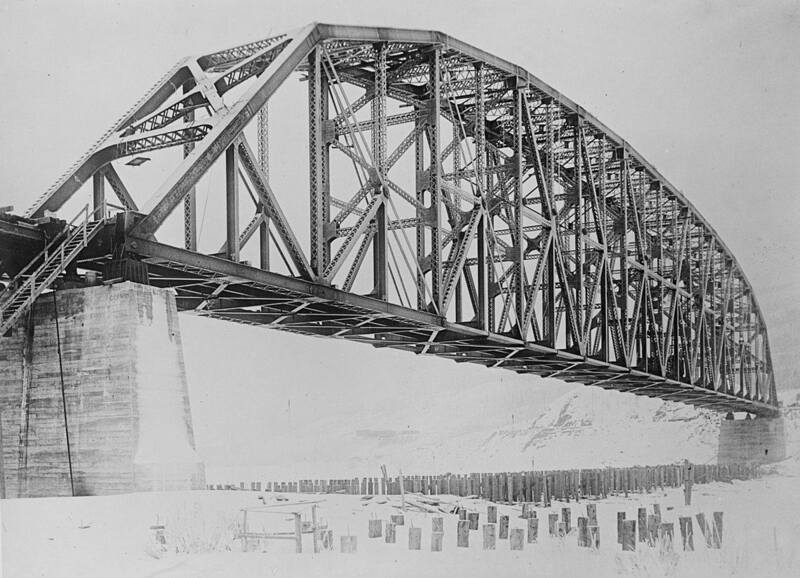 The bridge is named after Colonel Frederick Mears, the chief engineer and chairman of the Alaska Engineering Commission, the builder of the railroad and its original operator. In 1923, the Mears Bridge was the longest truss span in the United States and its territories. It spans the longest distance of any bridge in Alaska, and is still the third longest simple truss bridge in the U.S..
Wednesday, 27 February, is International Polar Bear Day. There are 25,000 estimated polar bears world-wide. On average, a male polar bear weighs 1500 lbs, and can stand close to 10 feet tall on its hind legs. The largest known came from Alaska, and stood 12 feet, and weighed 2210 lbs. Females are quite a bit smaller, weighing on average 500 lbs, and only standing 8 feet tall. Polar bears are closely related to brown bears. The two populations likely became isolated around the time of the last ice age, around 150,000 years ago. The two species can interbreed, but have adapted to very different habitats. Neither species would last long in the other’s habitat. For example, the polar bear is so adapted to the Arctic climate, that they can not take temperatures above 50F for very long. Only female polar bears who are pregnant hibernate. 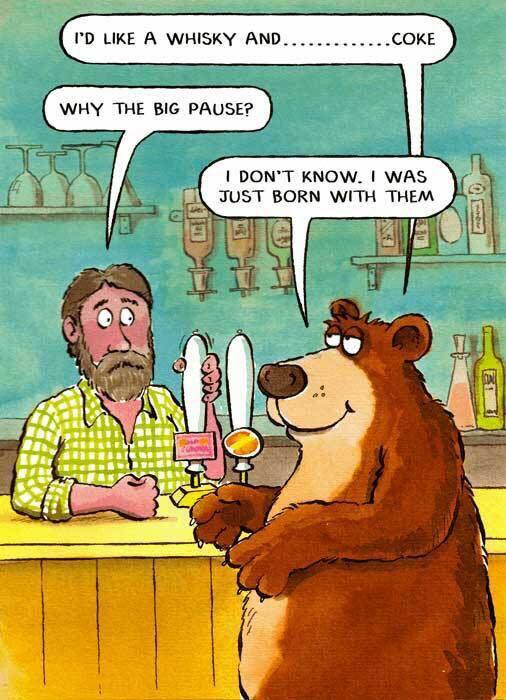 Male bears are active year round. 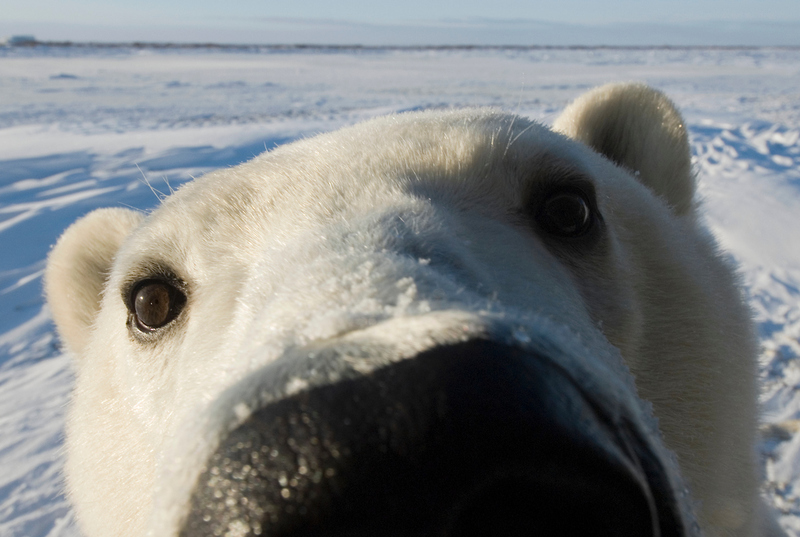 Polar bears can, but rarely, live past 25 years in the wild. Although, in captivity, they have reached 43 years. Russia outlawed the hunting of polar bears in 1956, the United States began protecting them in 1972. Regulation in Greenland started in 1994. Currently, Canada allows the hunting of up to 500 polar bears annually. Fairbanks celebrated the anniversary of the first air mail flight to take place in Alaska last week. 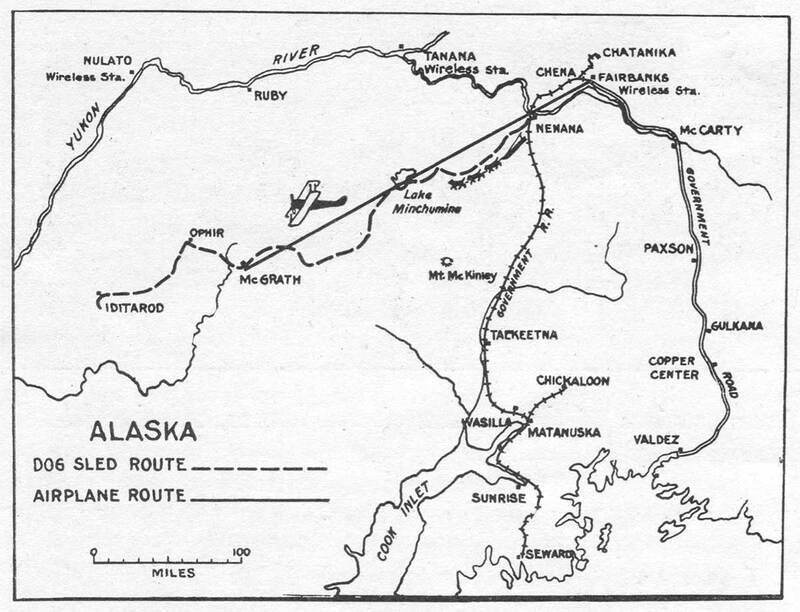 The flight, from Fairbanks to McGrath, took place on February 21, 1924. 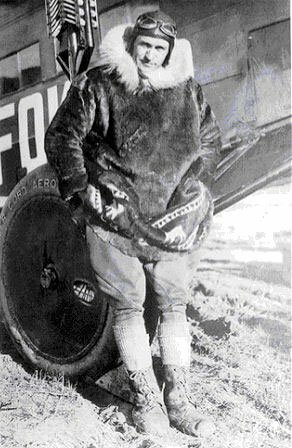 Famed bush pilot, Carl Ben Eielson was at the controls of the DeHaviland DH-4 open cockpit biplane. 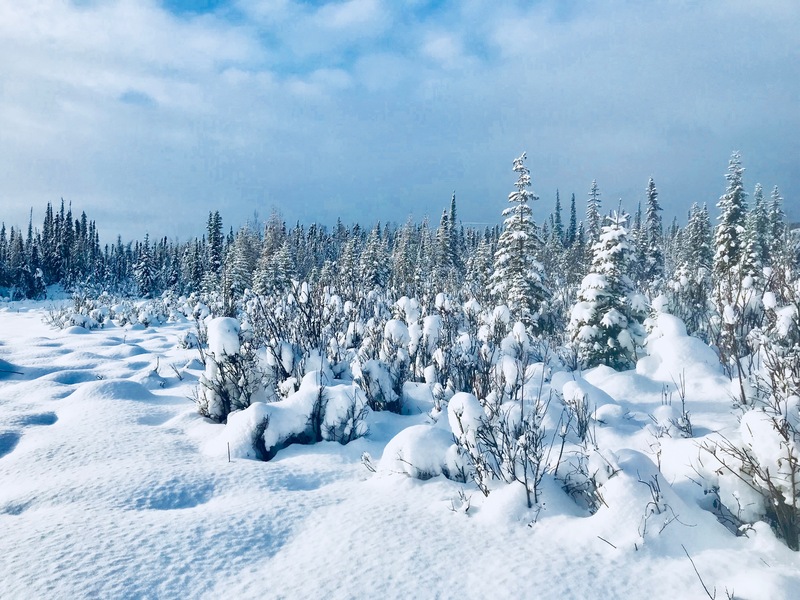 Eielson left Fairbanks at 9am with 164 lbs of mail. The temperature was -5F, no wind, sky was two-thirds overcast, with clouds at 4500 feet. The 280 air mile flight to McGrath took 2 hours, 50 minutes. In the past, a dog team had to travel 371 miles on the ground, usually hauling 800 lbs of mail each way, plus 100 lbs of equipment and dog food. The trip with the dog team, in comparison, took an average of 18 days. The return trip from McGrath started out at 2:45pm, late for February in Alaska. Due to the darkness, Eielson found himself 50 miles off coarse midway through the flight, he didn’t land in Fairbanks until 6:40pm. Eielson later reported that he thought the entire town of Fairbanks had been waiting over an hour at the air field for his return. Upon hearing the news from the Post Master General of the U.S., President Coolidge sent Eielson a telegram that read, in part: “I congratulate you on the conspicuous success of your undertaking. Your experience provides a unique and interesting chapter in the rapid developing science of aerial navigation.”. 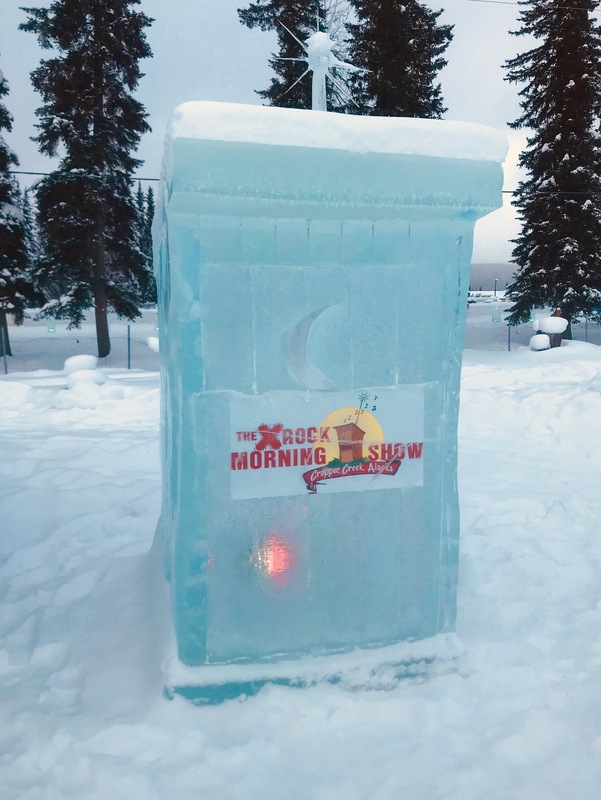 The World Ice Art Championships has returned to Fairbanks. 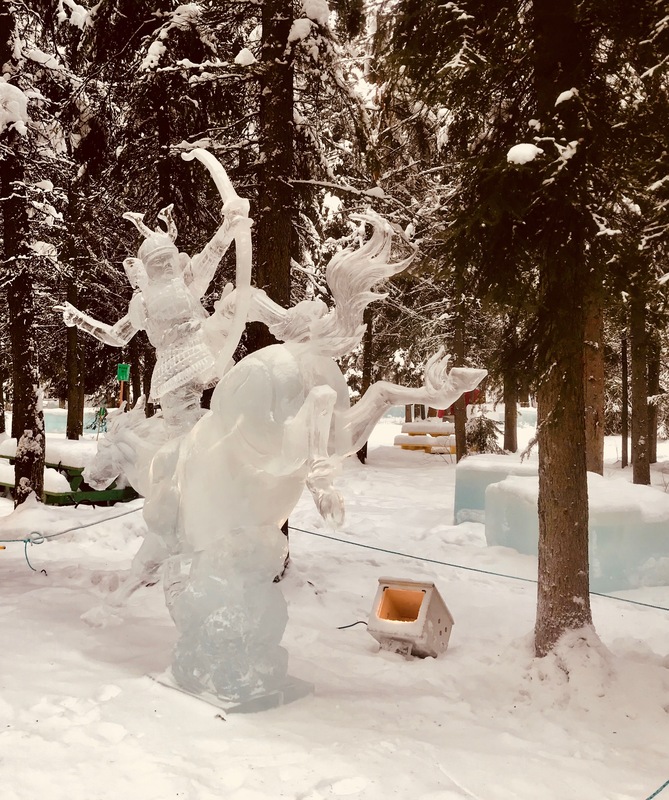 The Ice Park opened on Valentines Day. I checked it out the other day, but the vast majority of the sites had blocks like the one pictured above. No carvers were working when I stopped by. 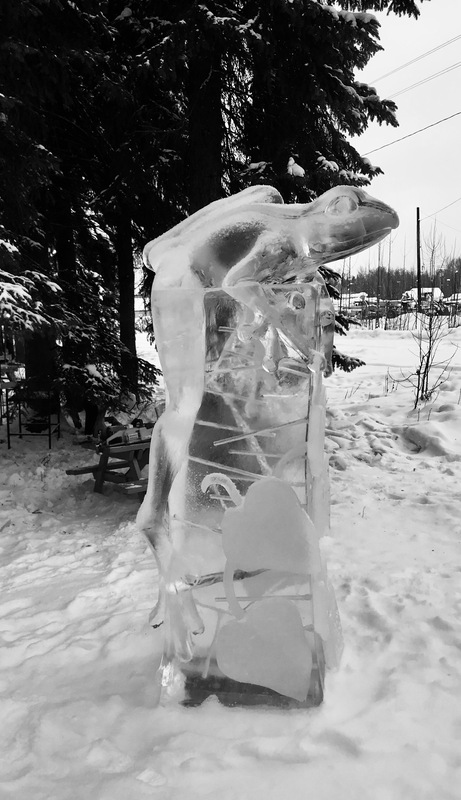 Fairbanks is known for its crystal clear ice, which the carvers love to use. There will be single block, double block and multi-block carving contests. Plus, there are single carver and two person carver events. I’ll stop by a few more times after the carving is done, and everything on display. The “luge” track, set up for the kids, looked particularly fast. 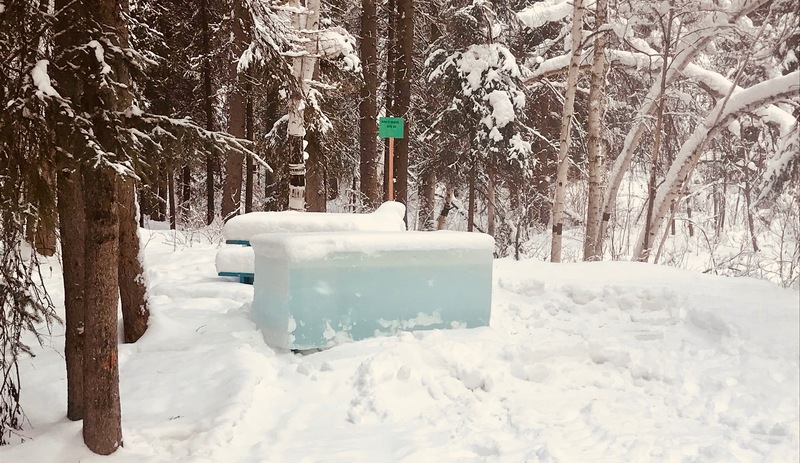 The Ice Park is located at the Tanana Valley Fairgrounds, and is open 10am to 10pm, until nature melts the carvings. We had roughly five inches of snow fall Sunday night, and close to eight fell the week before. I could hear the call of the snowshoes on Monday, so I strapped them on and ventured out into the Back 400. We had some snow out there, and my previous paths were completely covered. Still, it was a beautiful day to be out breaking a new trail.